Founded in 1907, the School for Advanced Research declines to rest on its laurels. 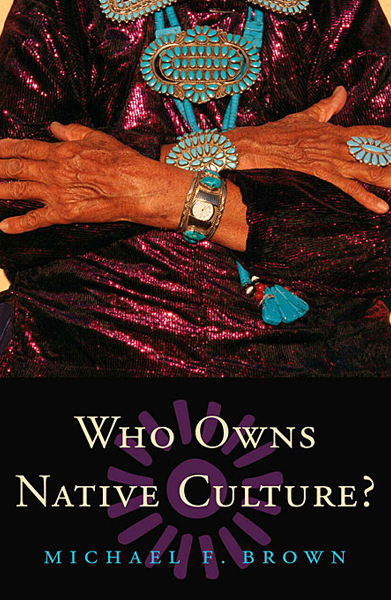 Today SAR provides a platform for wide-ranging scholarly research and lectures on prehistory, contemporary social issues, and the creativity of Native American artists. Although our roots are in Northern New Mexico, our resident scholars and seminar participants pursue important questions on every inhabited continent. The work of our Native American artist fellows has been shown at the Venice Biennale as well as the Santa Fe Indian Market. Whatever the season, there’s plenty going on for SAR members and the general public. For much of the year we offer regular talks and panel discussions by our resident scholars, artists, and experts on Native American arts. Information on the dates and times of these events can be found here. We also offer tours of the SAR campus, located on Santa Fe’s east side in some of the city’s most historically significant adobe buildings. 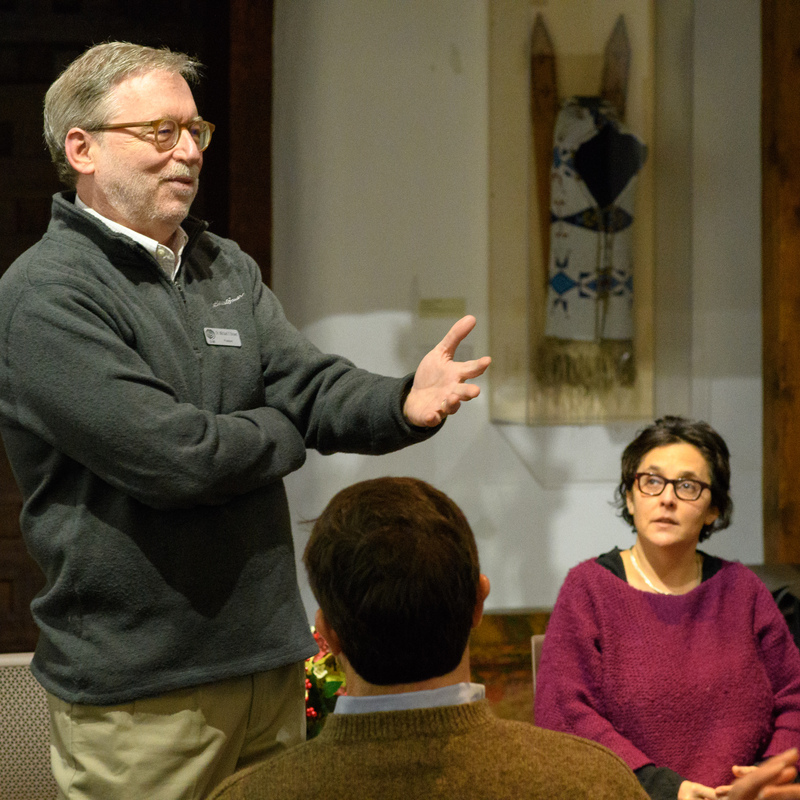 Michael Brown, SAR president, introduces speaker Biella Coleman at one of the Creative Thought Forum’s discussion salons, 2018. SAR’s Indian Arts Research Center is home to an astonishing collection of over 12,000 pieces of Native American art from the sixth century to the present. The collection is also available for tours. Some visitors are awed by the collections; others are charmed by the 1920s architecture that inspired what came to be known as Santa Fe style. Still others are won over by the famous dog cemetery, where the original owners of the SAR campus, Martha and Elizabeth White, buried the wolfhounds and Afghans that they bred on the estate. No one leaves the campus without learning something new about Santa Fe’s quirky and colorful history. We hope you’ll join us here for a lecture or a tour whether you are a visitor or a native New Mexican. 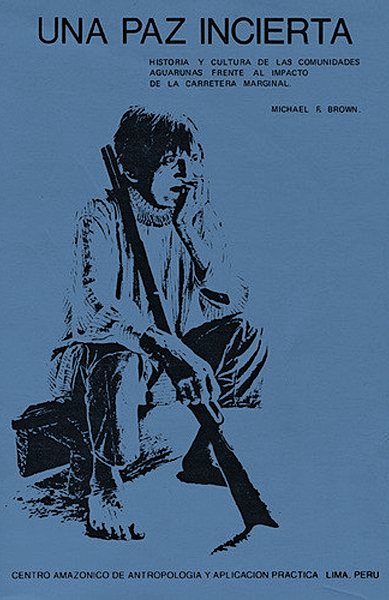 Raised in upstate New York, Texas, and Missouri, Michael Brown received his A.B. 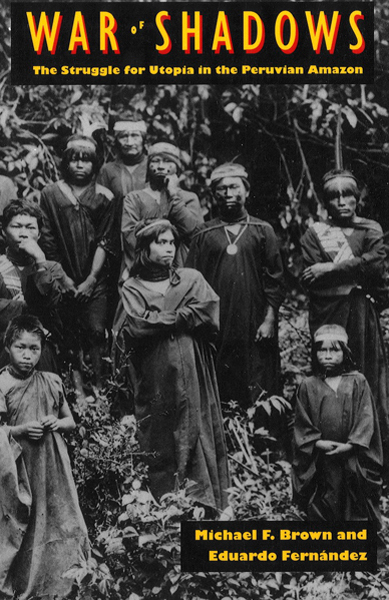 degree from Princeton and a Ph.D. in cultural anthropology from the University of Michigan. Brown became president of SAR after serving on the faculty of Williams College for 34 years. 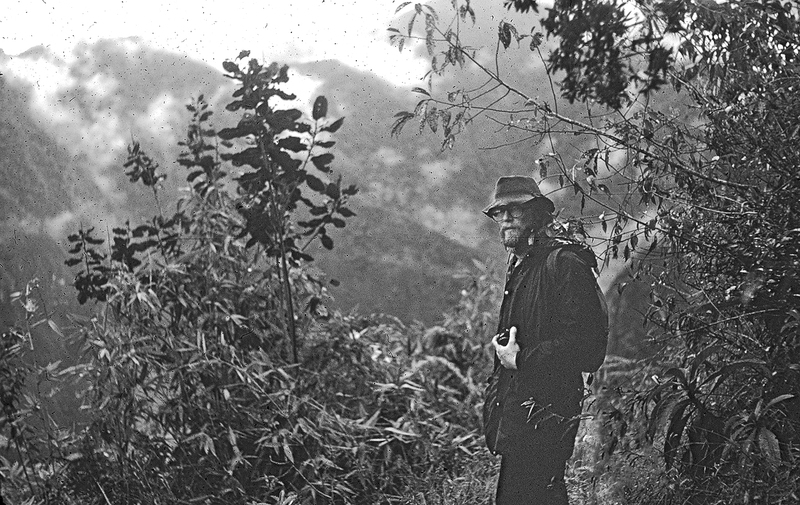 At Williams, Brown chaired the Department of Anthropology & Sociology, served as director of the Oakley Center for the Humanities & Social Sciences, and co-chaired the Stetson-Sawyer Project, one of the largest construction projects in the college’s history. 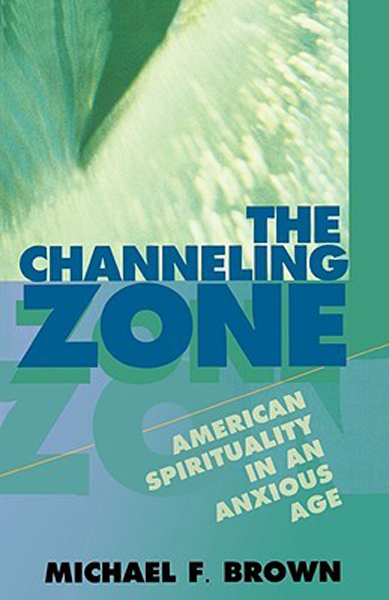 In addition to scholarly articles, Brown is the author of six books, including The Channeling Zone: American Spirituality in an Anxious Age (1997), Who Owns Native Culture? 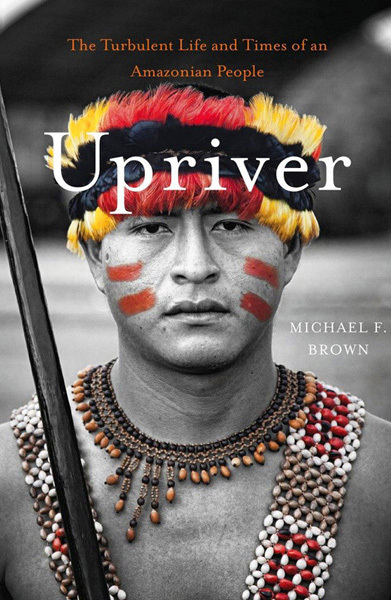 (2003), and Upriver: The Turbulent Life and Times of an Amazonian People (2014). He has also published general-interest articles and reviews in Natural History, Smithsonian, The Chronicle of Higher Education, the Times Literary Supplement (London), and the New York Times Book Review. 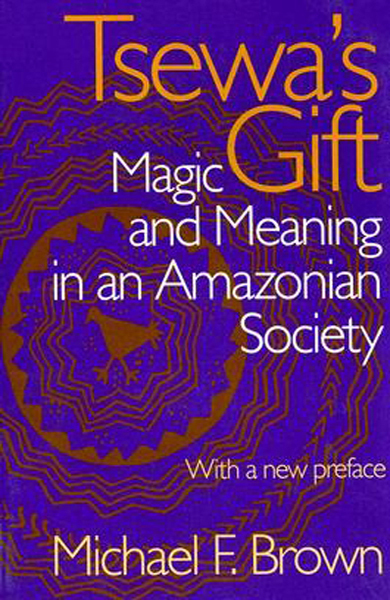 A list of his publications, many downloadable as full-text PDF files, is accessible here.